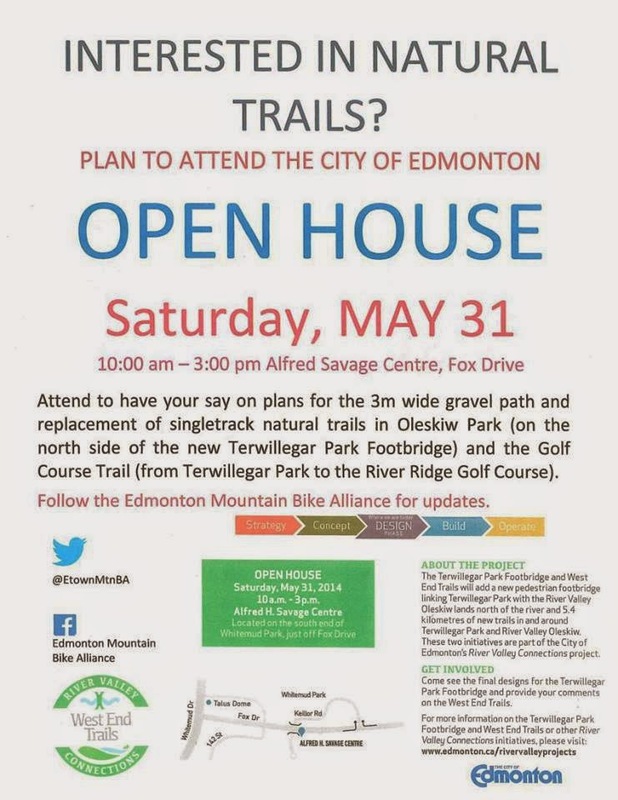 If you care about the current plans for the city and the new multi use trail and care to have your say. Come this Saturday to the Alfred Savage Centre and speak your mind. This was the new (for me undiscovered) singletrack right after crossing the Fort Edmonton bridge on Saturday's ride. This stretch of trail is apparently the longest uninterrupted singletrack trail in the city. The plan is to turn that trail into gravel multi use when there is plenty of land in the area to put the multi use. Whether you are for the multi use or against it, come and have your say. That is what is Hella-Kickass of living in Canada. Freedom is pretty great kids.